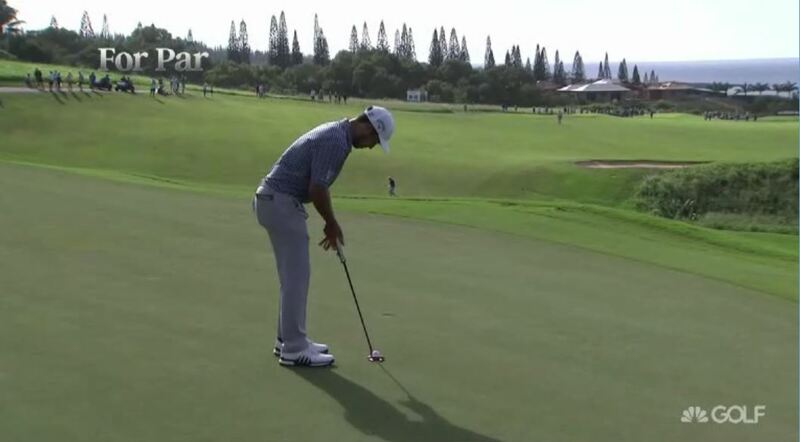 Golf fans are in store for a brand-new look from Golf Channel this year. The network worked with Troika/Mission Group (TMG) to revamp the graphics package across its live coverage of professional tournaments. 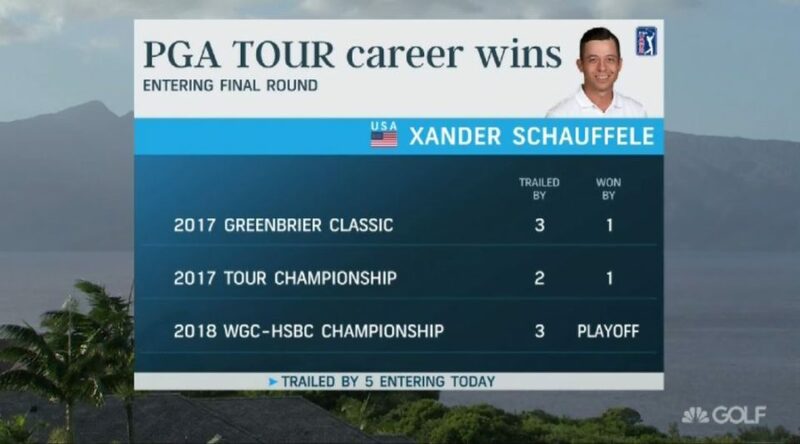 The refreshed NBC Sports and Golf Channel graphics debuted during last week’s Sentry Tournament of Champions on the PGA TOUR. 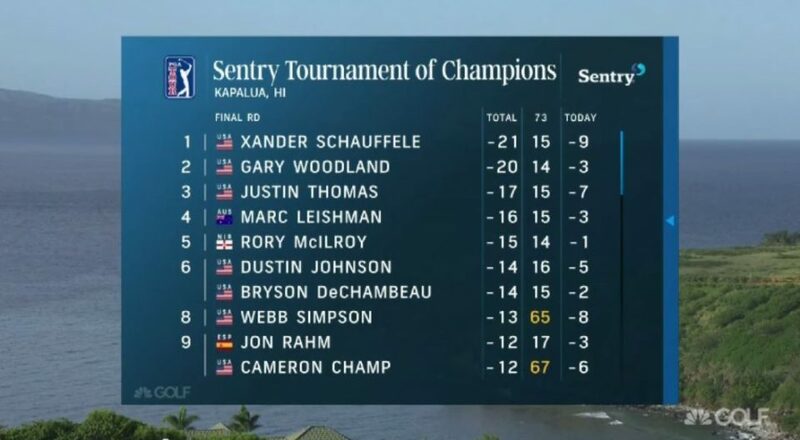 Golf Channel launched an updated graphics package at the Sentry Tournament of Champions last weekend. 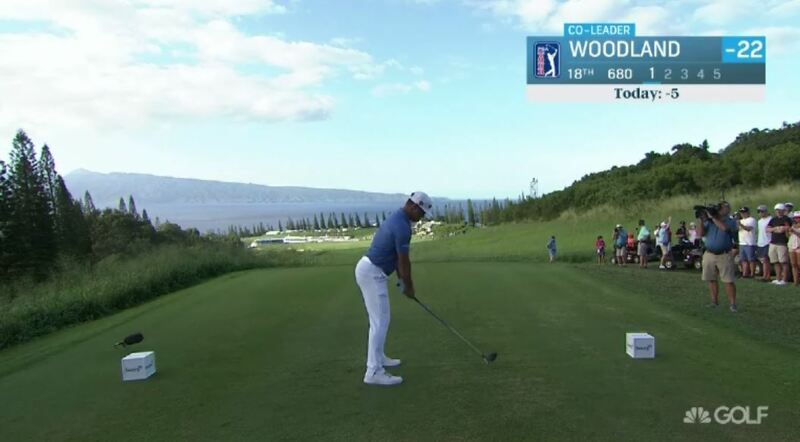 The new package offers a clean and authentic viewing experience to enhance the network’s golf telecasts, according to Golf Channel. A bright, bold look featuring more color, bigger font, and a more effective use of typography is designed to provide a cleaner viewing experience. In addition, Golf Channel now has greater consistency across its platforms and franchises, building on the strengths of the existing graphics package and the network’s brand recognition. The influence of the refreshed look also will be integrated into the network’s news, promotion, and digital platforms, using the graphic package’s colors, font, and motion to establish greater brand consistency. The graphics refresh was developed in partnership with TMG . The partnership between the two brands extends to when Golf Channel first worked with TMG on a network rebrand in 2008 and again in 2013 to develop the network’s current logo. In 2016, following NBC Sports Group’s securing exclusive domestic rights for The Open, TMG also helped NBC Sports develop its graphics package for golf’s original championship.